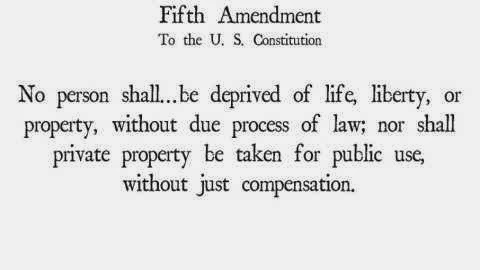 Sen. Rand Paul yesterday introduced S. 2644, the FAIR (Fifth Amendment Integrity Restoration) Act, which would protect the rights of citizens and restore the Fifth Amendment's role in seizing property without due process of law. The FAIR Act would change federal law and protect the rights of property owners by requiring that the government prove its case with clear and convincing evidence before forfeiting seized property. State law enforcement agencies will have to abide by state law when forfeiting seized property. Finally, the legislation would remove the profit incentive for forfeiture by redirecting forfeitured assets from the Attorney General's Asset Forfeiture Fund to the Treasury's General Fund. "The federal government has made it far too easy for government agencies to take and profit from the property of those who have not been convicted of a crime. The FAIR Act will ensure that government agencies no longer profit from taking the property of U.S. citizens without due process, while maintaining the ability of courts to order the surrender of proceeds of crime," Sen. Paul said.